At NXT Takeover: Chicago II on Saturday, Velveteen Dream had a very Hulk Hogan-esque look to him. This led the Hulkster to comment that he should play the role of Dream’s manager. 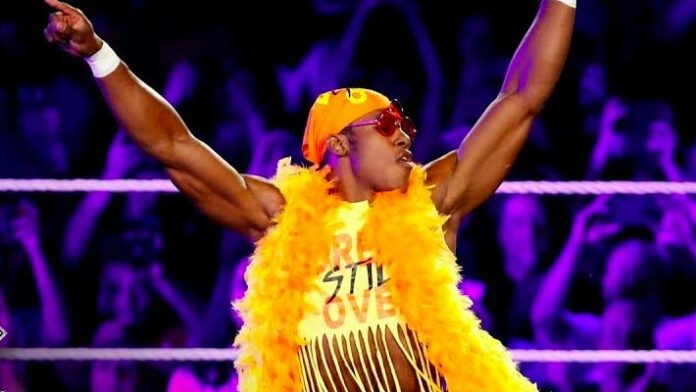 Unfortunately for Hogan, it appears Velveteen Dream is not going to be his ticket back to WWE. Speculation regarding Hogan’s possible return to the company increased earlier this year when Hogan attended the premiere for HBO’s documentary on Andre the Giant. Just before the screening, WWE made a public statement regarding Hogan. They said they had reached out to him in order to discuss how others could learn from mistakes he’s made. WWE insisted Hogan was not under contract, however. In March, it was revealed by Mark Henry that there is a delegation of wrestlers who don’t believe Hogan is ready to return. ”The delegation is pretty much all of the more established African-American wrestlers in the country and in the world, for that matter. Every promotion… there’s not a wrestling promotion that doesn’t house someone from the delegation,” Henry explained. Booker T has also commented on Hogan’s possible return to the company. While both Henry and Booker agree that people should be given second chances, Booker is more forgiving of Hulk than Henry is. Booker also explained that he believes Hogan was responsible for Harlem Heat receiving a push in WCW.